With their skins removed, Mung beans are light yellow in color. These are Mung beans that have been skinned and split, so that they're flat, yellow, and quick-cooking. They're relatively easy to digest. They are made into Mung bean paste by de-hulling, cooking, and pulverizing the beans to the consistency of a dry paste. Split Mung Dal : Split Moong Dal is a type of Lentil ,specially used in India with rice or roti. Split Moong dal is prepared from Mung beans only. The outer skin is being removed and split. It makes this lentil in yellow color. 6.Mostly this dal is cooked for sick persons in home. How to store Yellow Mung Dal? Store yellow gram in an air tight container. 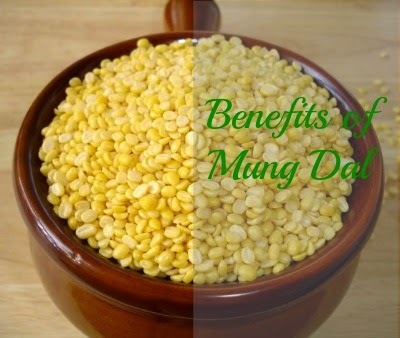 How to Use Yellow Mung Dal? Yellow gram is cooked as any other dal is cooked. The dal is pressure cooked along with chopped onion, tomatoes, chilies and ginger garlic paste.Yellow lentils don't hold their shape well, so they're often cooked into soups or purées. Moong dal khichdi and vada are quite popular.Moong dal can be used as stuffing. This one is true, those who are having health related issues specially in stomach may take this dal in their regular diet. You people can may take help from the Tahitian Noni Juice as it can help you get regular diet. Information on http://healthytips-foryou.blogspot.in is presented for educational purposes only. It is NOT intended to replace professional medical advice. ALWAYS consult a medical professional before introducing new techniques.All photographs are taken from Google Images.